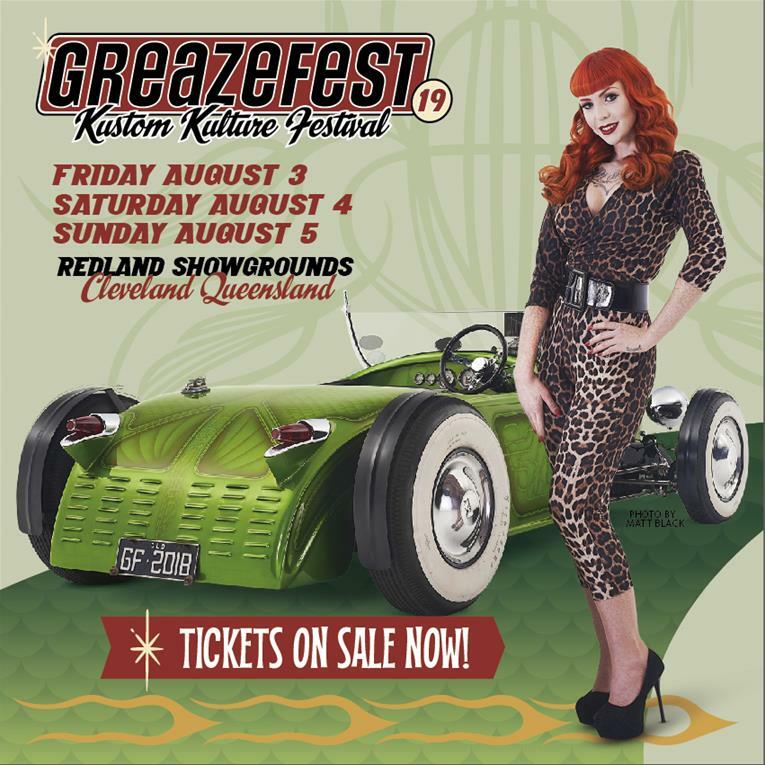 GreazeFest - Latest News: GreazeFest Tickets on sale now! GreazeFest Tickets on sale now! Feast your eyes on the sensational new poster art for GreazeFest 2018, featuring the adorable Becky modeling with Bowie’s dazzling Asphalt Surfer. Photo by Matt Black, hair and make-up by Misha, styling by Lori Lee, design by Pasi. GreazeFest band line up will be announced in 7 days and counting!